Project 365: I <3 Live Trials! (Day 143) | Viva La Vida! 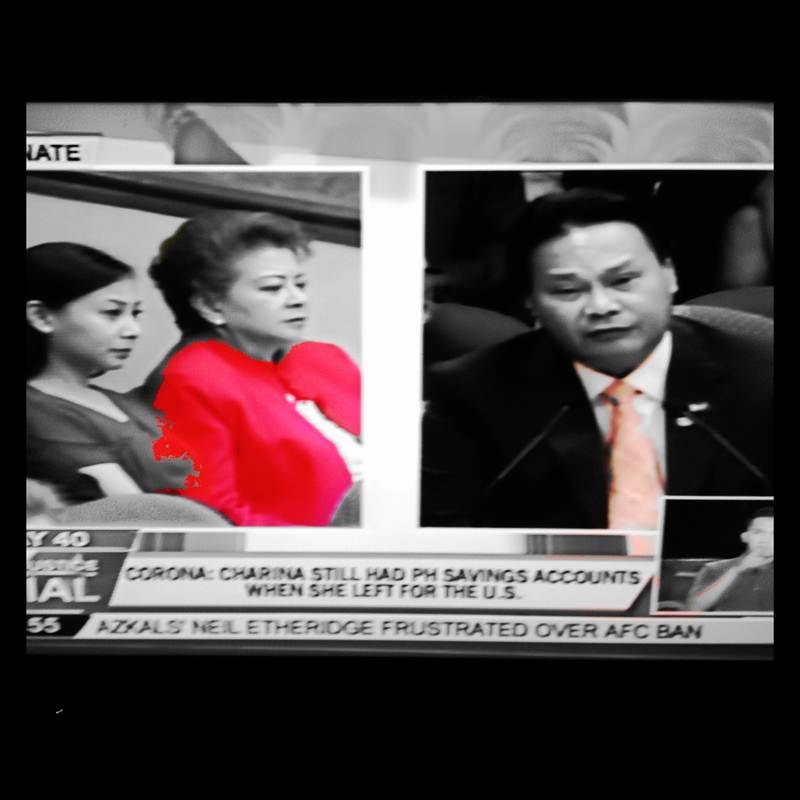 Its Day 40 into the Impeachment Trial of Chief Justice Corona and today was the first time CJ Corona appeared in the trial court to make his statement and testify. And it was filled with drama and controversy from airing out the family skeletons, to signing a conditional waver, and a sudden walk out from the court, earning the ire of Senate President Juan Ponce Enrile. This entry was posted in My Day Job, Project 365, World Shakers and tagged Corona, impeachment trial, project 365, work by Roxanne Calingo. Bookmark the permalink.